Now, for all I know, if you try to go to the site offered or respond to the email address, it actually allows viruses to enter your computer and try to get information in order to clean out your bank account. But let’s go with the idea that this is legit and that Louis Vuitton’s company or the site selling his purses actually hired a spam advertising firm. First off, it was not, as you might have expected to occur, attached to any of my posts that had to do with fashion and advertising (Aliens in Pretty Dresses.) It was instead attached to my blog entry: “Haruki Murakami Has New Release.” I had been unaware of the deep link between author Haruki Murakami and Louis Vuitton before, but thankfully Tammy let me know that his wild SFF makes her think of high end fashion. Second, obviously my blog was selected at random as part of a massive software program hitting thousands of blogs. My blog, if you actually look at it, is clearly not a place where Louis Vuitton customers are going to hang out. And of actual Louis Vuitton customers, Tammy’s missive is written to appeal only to girls aged 12-16. Now, there is a small crowd of girls that age whose parents are rich and they might actually check out the purses, but again, they don’t read my blog. The Gossip Girls blog, sure, but mine, no. Further, active blog writers check their comments and will delete the thing as spam, usually before it even gets on the blog, thanks to spam catcher programs. Inactive blog writers might not, but inactive blogs don’t have any readers. So basically, the odds of this ad actually inducing anyone to go to the site and buy a Louis Vuitton purse by placing cheery, clearly spam missives in thousands of random blogs attached to random posts are about the same as me being elected queen of Mars. But if these aren’t viral crooks running a scam, then Vuitton or the website paid somebody to do this spam advertising. Sure, it probably costs a lot less than direct mail stuff, since the company does it in bulk for thousands of clients, but direct mail might actually be effective. So are targeted ads, email lists, and many other Web methods. But generating un-targeted spam on the Web, especially for a luxury product? It does nothing. It has no effect certainly worth the cost. Yet this company is running an effective scam with commerce. Wouldn’t it be nice if the companies that pay for these things actually took the money for it and gave it instead as an additional donation to charity? We’d have less spam, the good works would have more support in these troubled times, and the companies would have even more good will advertising for doing it. I may actually go petition Louis Vuitton on this. On the other hand, Tammy was amusing. *Update: Apparently luxurygiftsbags.com is a real site, specializing in Louis Vuitton gear. I just thought I’d throw that in, in case any of you are dying for a Vuitton clutch. Courtesy of John Scalzi’s Whatever blog, via the journalism of ESPN’s Rick Reilly, a story about truly amazing kids. And yes, I did cry. With what’s going on in the world, it is indeed as Reilly says, apple juice squirted into the eye. 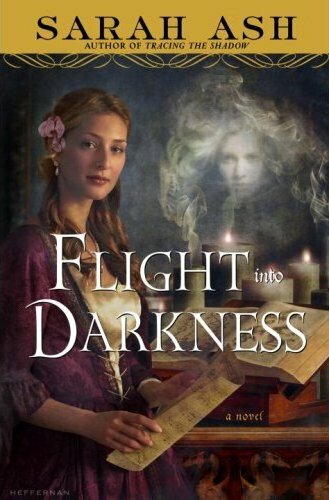 1) Sarah Ash – Flight Into Darkness – In an alternate universe of multiple realms, including the land of the dead, a crisis requires the efforts of a spirit, a singer and an impulsive young man to prevent disaster. 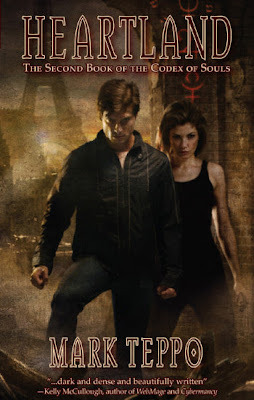 2) Mark Teppo – Heartland, Book 2 in Codex of Souls series – A once banished magician has to root out the corruption of his old order in the magic underworld of contemporary Paris. 3) David J. Williams – The Machinery of Light, Autumn Rain trilogy – Near future space opera about World War III and the race off planet. 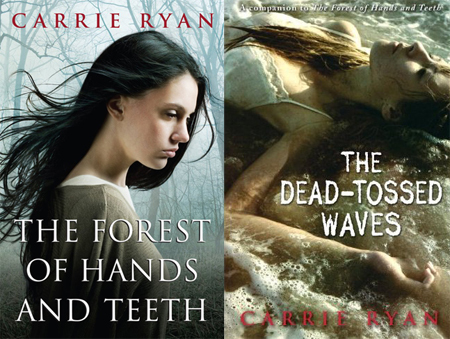 4) Carrie Ryan – The Forest of Hands and Teeth, The Dead-Tossed Waves – A YA alternate world fantasy series about a young girl who lives in a protected town surrounded by zombies. 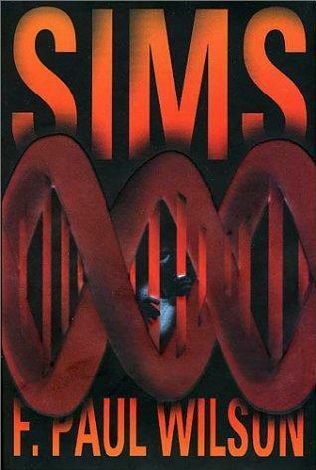 5) F. Paul Wilson – Sims – Genetically altered chimpanzees are replacing humans as menial laborers, and the company that made them has secrets it will go to any lengths to protect. What Does This Say About My Age? My answer to this would be that I don’t think that everybody should have the same ten SF novels on their bookshelf (i.e. have read.) The idea of picking ten ultimate books to be required reading like a school assignment is in fact an anathema to my soul. And for SF in particular, I think this basic idea is behind a lot of the problems one encounters in SF fandom. I’m guessing, however, that my response to that question, even if it is not workable for Fan’s formula, probably says something about how old I am. 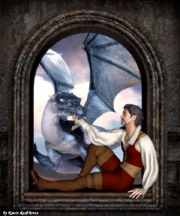 But I will tell you this, if I did have to pick out ten — like if it was that or I would be thrown to the sharks or something — as my very favorite examples of storytelling, they wouldn’t be mainly centered around when I was 16, or 12 for that matter. Nonetheless, go check it out and try the experiment. Fan has a graph and everything. New stats info indicates that book sales are up. Yay! E-book sales are up. Yay! Audio book sales are up. Yay! And university and educational book sales have overall increased. Yay! But mass market paperback sales specifically dropped a bit. Boo! And retail trade children’s/YA book sales, after being the stars of the recession, have dropped some. Boo! But overall, the news is definitely better than a kick in the head.